Detroit macaron taste-test: Which are the best? 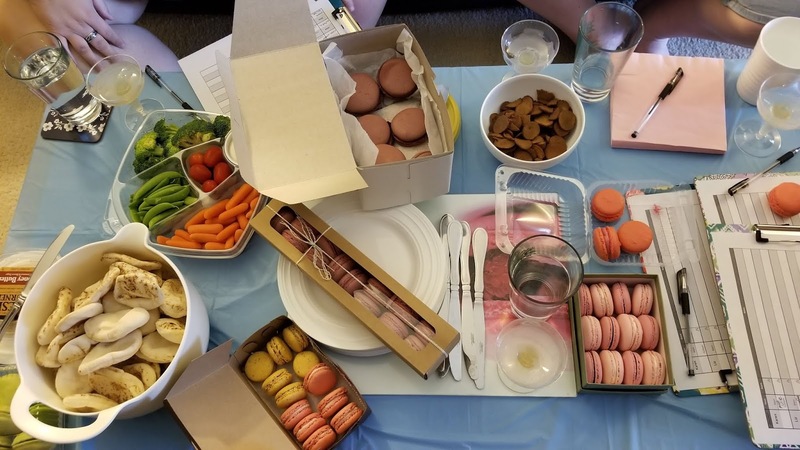 This past Saturday, some friends and I got together to taste-test Detroit macarons! 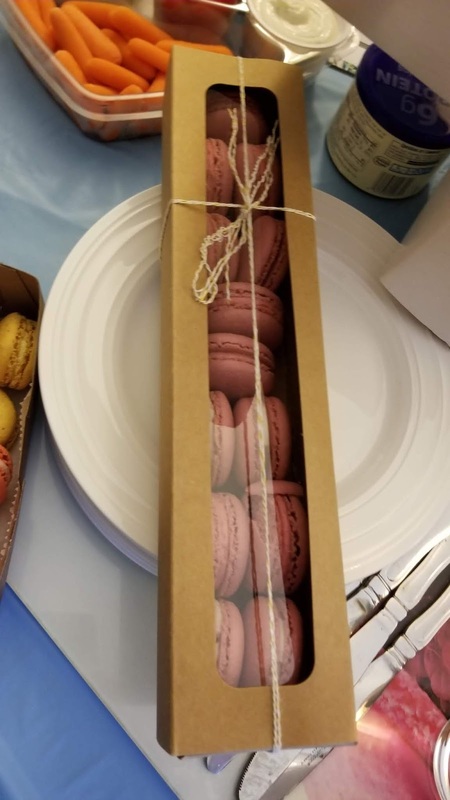 Another friend came up with the party idea: there would be six of us, and we would each bring six raspberry macarons, and 6 of our flavor choice, with prizes for those who brought the most tasty macarons. 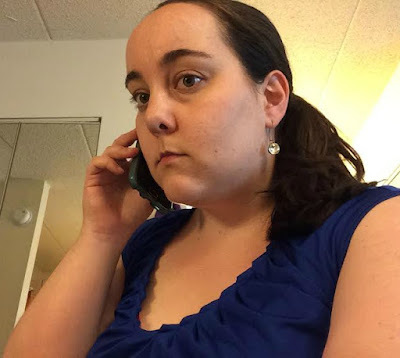 This gave me an excuse to check out Cannelle Patisserie, in Birmingham; I had eaten their macarons previously, at another friend's house, and they were very good, but I had never been to the actual store. The first macarons were tried were the raspberry flavor; Cannelle for some reason did not have raspberry, so I brought strawberry instead. I gave 4 out of 5 stars to the raspberry macarons from Ellen's: the crust (outside) was good, but it didn't have a strong raspberry taste. I gave 3.5/5 stars to the Astoria ones; although their macarons are HUGE, and have a good texture, the raspberry flavor was too tart, so not entirely to my liking. 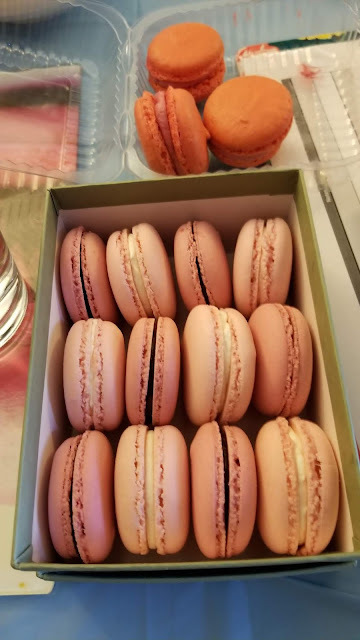 I gave 5/5 stars to the Gateux raspberry macarons, which had JAM inside (not traditional, but tasted amazing) and for The Blu Kitchen macarons, which were perfectly chewy and had a slight raspberry taste. For my Cannelle strawberry macarons, I didn't rate them but they were small, and did taste like strawberry, with a "Cool Whip" type of flavor, as one friend said. Then, it was on to the flavors of choice! From Ellen's, we tried their mint chocolate macarons. I do like mint chocolate, but these were extremely minty; I'd give them 4 out of 5 stars. From Cannelle, I was a bit disappointed in the passionfruit macarons, because they didn't have a lot of flavor; and the flavor that they did have did not taste like passionfruit. When I went to Israel this summer, I brought back a small tube of passionfruit liqueur, which was much more flavorful. 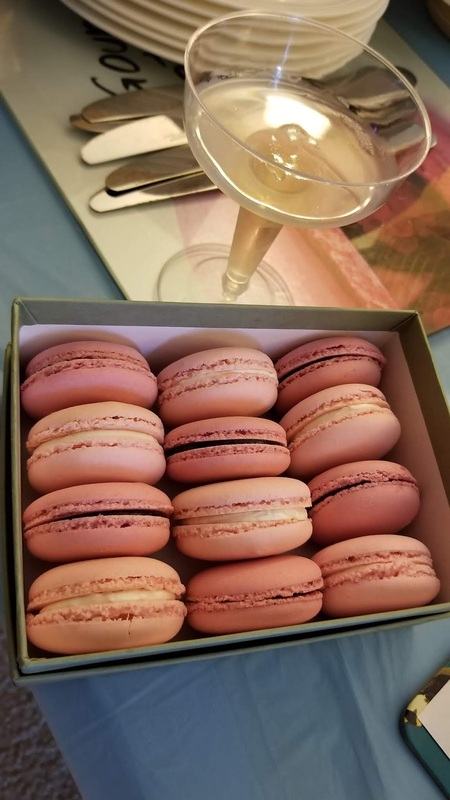 From Gateaux, we tried rosewater macarons—definitely full of flavor, but maybe too much flavor! Rosewater almost tastes like you are eating perfume, so it's definitely unique. I would give those 4 out of 5 stars. The winner in my book, from Astoria, were the Nutella macarons—but I'm definitely biased, as I'm a huge Nutella fan. I would give those 5 out of 5 stars. 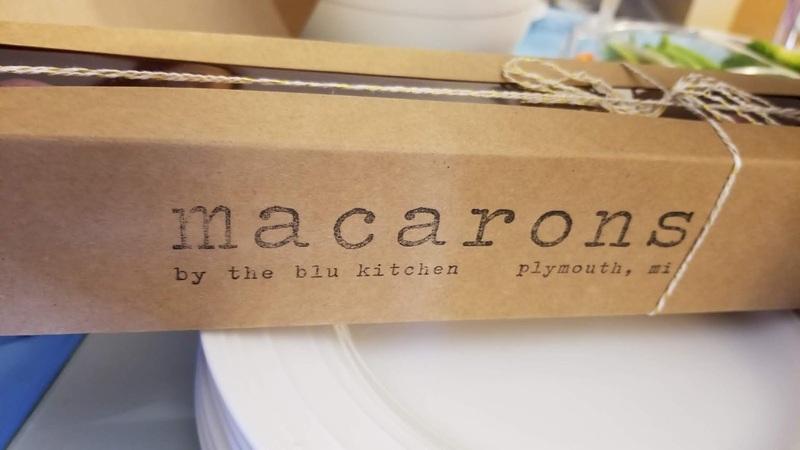 The last ones we tried were the creme brulee macarons, from The Blu Kitchen, and although I enjoyed them, they almost had too much flavor. These were unique, though, as they had bits of crunchy things in them (much like a real creme brulee, which is flambeed at the top). 4 stars out of 5. 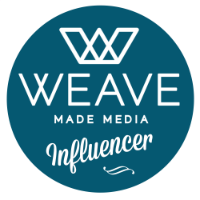 We then voted on the winners! For the raspberry macarons, we chose Allie's, from The Blu Kitchen, and for the macaron flavor of choice, we chose Jess's, from Astoria. 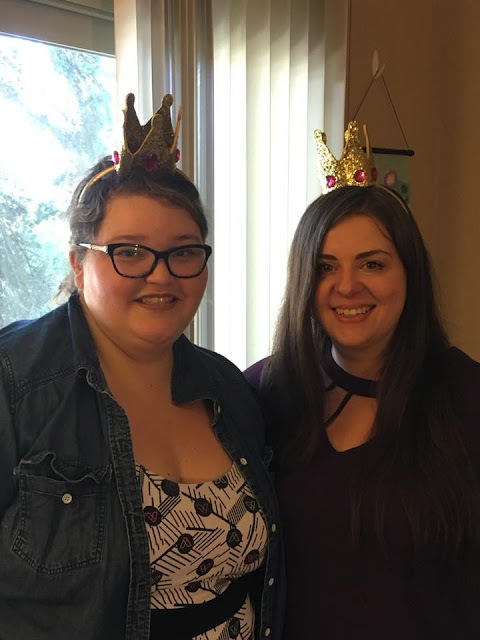 Each of the winners got a small crown to wear and also a larger pastry that the hostess had purchased. 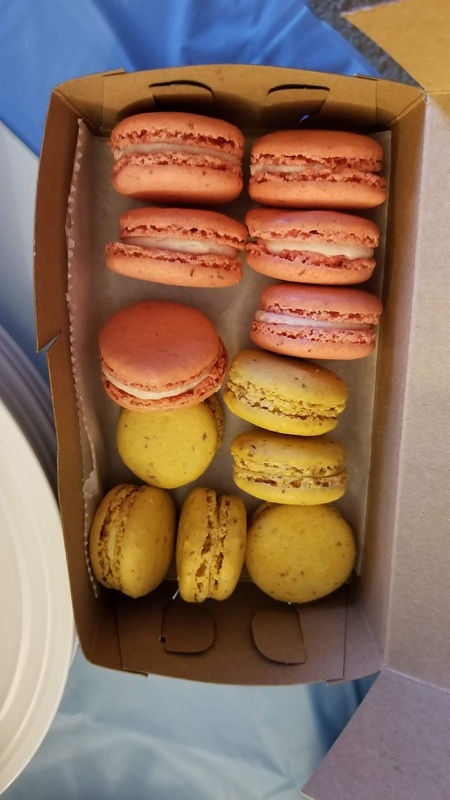 Overall, it was definitely a fun way to spend an afternoon, and it was nice to be able to try macarons from four other bakeries (plus Cannelle's), since the only bakery that I had been to previously, of the four contenders, was Astoria. What is your favorite macaron flavor? 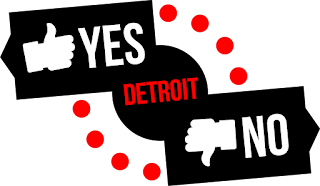 And if you live in the Detroit area, what is your favorite bakery?